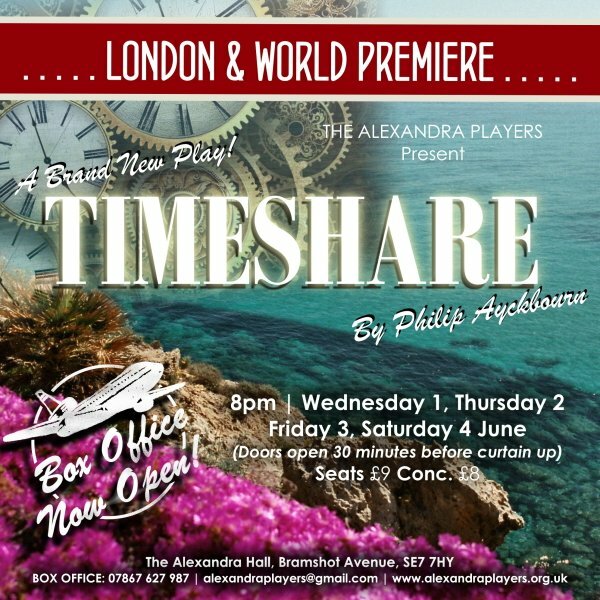 ‘Timeshare’, a new play by Philip Ayckbourn, will premiere at The Alexandra Hall in Charlton. Following the success of our performance last Summer of The Essence of Love written by Philip Ayckbourn, The Alexandra Players in Charlton have been given a wonderful opportunity to stage a brand new production by the playwright. Philip very kindly approached us and asked us to be the first group ever to perform a brand new play he has written called Timeshare – a comedy with farcical elements that plays with time and relationships. The London and World Premiere will open at The Alexandra Hall, Bramshot Avenue in Charlton on Wednesday 1st June for 4 nights only. The Box Office is open and tickets are on sale now!